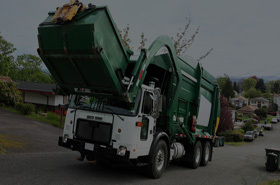 Refuse Specialists, Inc. is a web-based waste services company that derives its revenue from a complex calculation of customer savings. Invoices are created and distributed from their web-based system, created by ASI. The invoices, once created, must be applied to QB, as QB is the preferred mechanism for handling payments. Customer, invoice, and payment data must be shared, between systems. After creating the system to handle their web-based account management needs, ASI additionally programmed QuickBooks integration routines to move Customer, Vendor, Invoice, Item, and Payment data between systems. Additionally, we provided verification routines to compare and report on differences between the two systems. The site has been developed, deployed, and is in production uses, around the country. The QB integration routines have operated without issue, since deployment.